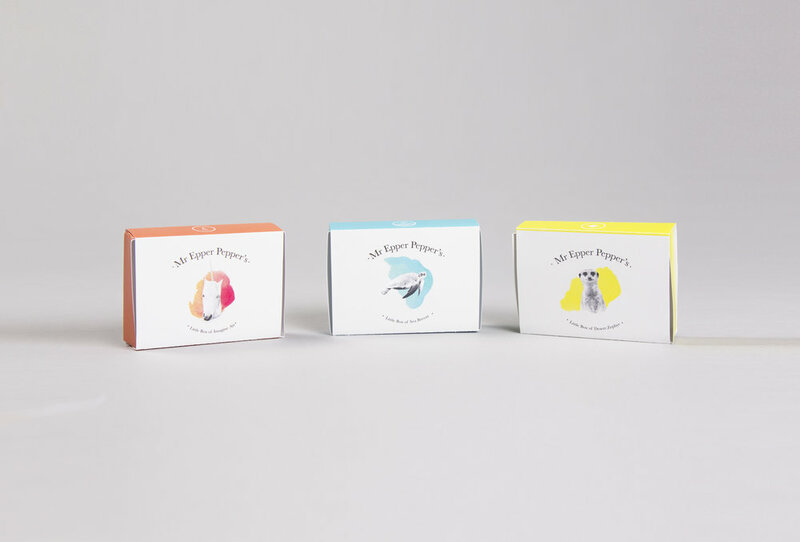 To create boutique packaging with roll out based upon two random, totally unrelated things. One a physical product, the other a group of people or demographic. Out of the hat, I picked 'fresh air' (if that's even a product) and Zoo Keepers. 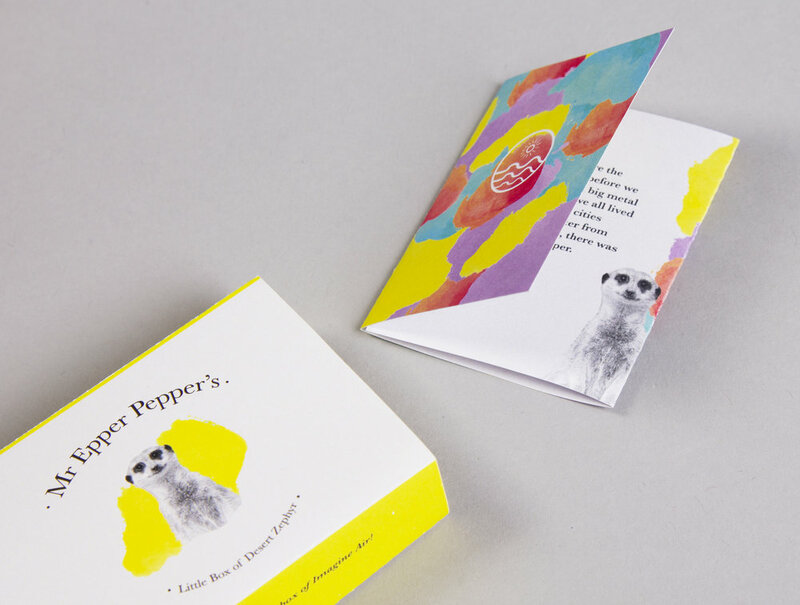 We then had to create our product, packaging and brand based upon what was chosen. 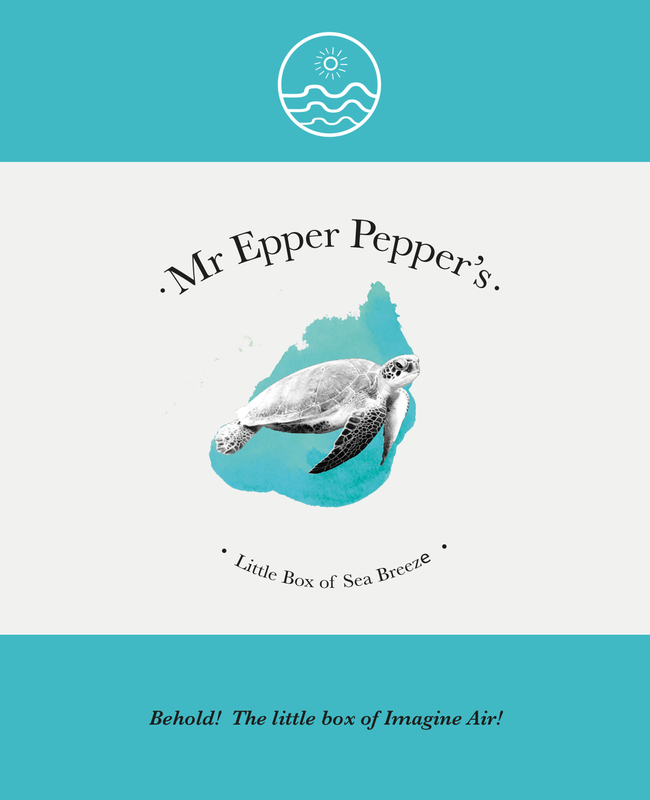 As my product was completely unconventional, I decided I would create a box of fresh air, with an accompanying storybook and characters, that would eventually form other physical products such as books, websites and games, all with an animal theme appealing to the child in all of us. 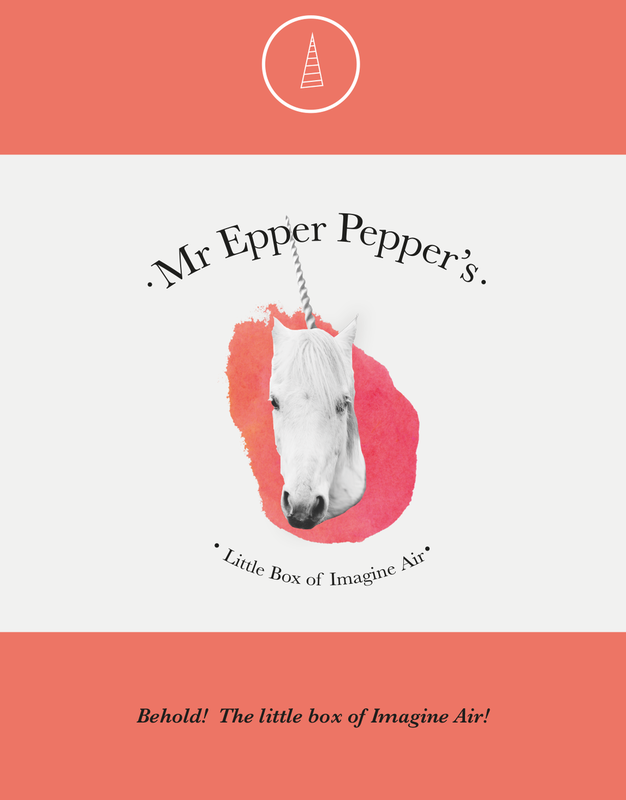 Mr Epper Pepper, a flying unicorn was born, who travelled the globe collecting samples of air from his animal friends in the sea and desert, boxing them for the world and telling his stories along the way.